Having hard boiled eggs on hand for quick breakfast on the go or to add to salads and sandwiches makes busy weekdays so much easier. This foolproof stove top method for boiling eggs every time. This is one of the easiest recipes to make ahead for busy weekdays. I whip up a batch and refrigerate them to use in my quick Egg Salad Recipe, for Deviled Eggs, to add to sandwiches like my daughter’s favorite Egg Scallion and Tomato Sandwich and to add to easy salads like this Chickpea Egg Salad. 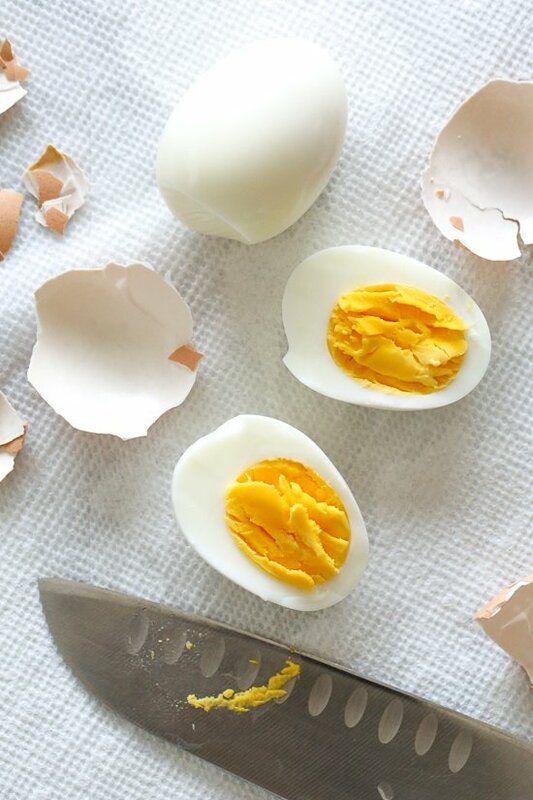 If you have an electric pressure cooker, you can also make them their using this easy Instant Pot Hard Boiled Egg Recipe.